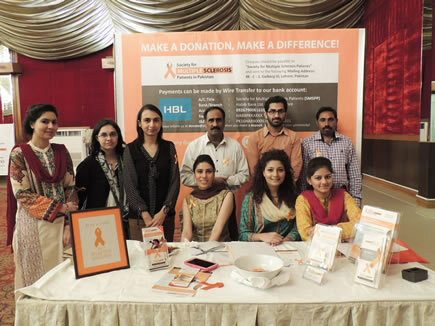 The Society for Multiple Sclerosis Patients in Pakistan held an MS Awareness Seminar on Saturday 30 May, 2015 to raise awareness about Multiple Sclerosis. 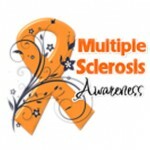 World MS Day is celebrated on the last Wednesday of every May, and this year, World MS Day was celebrated on Wednesday 27 May 2015 all over the world. 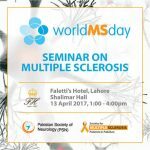 The MS event themed ‘Stronger than MS‘ was organized by the Society for Multiple Sclerosis Patients in Pakistan and was fully sponsored and funded by Genzyme, a Sanofi company. Renowned neurologist, Dr. Amir Ikram (Diplomate American Board of Psychiatry & Neurology), was the chief guest and speaker at the event. The topic of his discussion was ‘MS Patient Journey‘. The President of the Society, Miss Afroz Syed, also gave a speech at the Seminar. The topic of her discussion was ‘Living with MS‘. 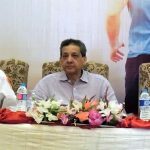 The event was covered by press and media and received electronic as well as print coverage in leading newspapers and on leading news channels. You can view photos of the MS Awareness event on the MS Society’s Facebook page or click on the albums below. We are very thankful to Genzyme, A Sanofi Company, for fully sponsoring and funding this event. We also want to thank all the patients who came to the seminar and made it a huge success. 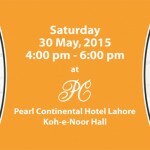 The PR Agency finally sent us the photos and videos of our MS Awareness Seminar held on Saturday 30 May 2015 at Koh-e-.Noor Hall, PC Hotel Lahore. Give us your suggestions and feedback on the Seminar photos in the comments below.